Established in 2004, Super Control and Automation has acquired an admirable position in the industry owing to its quality-centralized trade operations and customer support services. 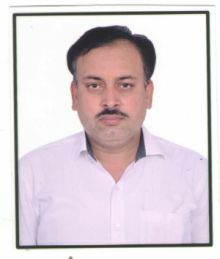 Mr. Brijendra Singh oversees our trade activities from our base located in Faridabad (Haryana, India). Backed by a team of trained and dynamic professionals, we fulfil ever-changing industry demands with the utmost professionalism. We are a team of production heads, coordinators, quality controllers, technicians, warehouse-in-charge, R&D professionals, logisticians and marketing professionals, who toil together to bring forth top-notch product line. At Super Control and Automation, we covet to make safe and secure shipment as per clientâ��s schedule. We have appointed a dedicated team that takes care of personalized packaging and labeling needs of our revered clients. Besides, we have established strong alliances with local distributors, who aid us completely in making on time and doorstep shipments.